We welcomed back Dr. Jeff Bell for this one segment 2 hour 11 minute extravaganza discussion on multiple topics including Jeff's fight against pancreatic cancer. Please note that Jeff had much to say about his fight and treatments for pancreatic cancer. He spoke about this, including specifics on the treatments and the effects they had on him at length and at various times during our program. He also addressed his previous illness in some detail, narcolepsy. At times Jeff had more to say about his cancer treatment than we would have liked to hear, some of it very graphic and personal. In any event, we are happy Jeff is back on TSS and feeling great. We wish him only the best for a full recovery, being cancer free, and many more Space Show programs in the future. This program was classic and vintage Jeff Bell all rolled into one. He certainly went after many space advocacy sacred cows with facts, supporting evidence, examples and more. For example, Elon Musk and SpaceX were his targets for most of the first hour of the show. He offered Space Show listeners a comprehensive view of why he was suggesting problems and declines. We welcome your blog posts on what Dr. Bell said, especially if you disagree with him. That said, if you do disagree, please bring facts to the discussion and if you think his facts may be off, and they may be, show evidence as to why they are off. Let's keep this as a factual discussion. After spending lots of time talking about Musk and SpaceX, the Moon, Mars, and settlement issue, stainless steel for the new rocket, Musk Mars programs and more, we turned to Stratolaunch problems, then Jeff's extensive comments on all the recent talk about hypersonic weapons. Don't miss what he said about both of these topics. Regarding the late Dr. Paul Spudis, he told how they were once friends and why they drifted away from one another. He referred to Paul as the old cold warrior regarding that branch of the space movement effort. Jeff said much about the cold war branch of the space movement but did say that if we were to go anyplace in space, the Moon would be it. As we were closing in on the end of the program, Jeff addressed his concerns for what he referred to as the Russian space rot for their manned space program followed by his analysis supporting the idea of a Russian space rot for their nuclear rocket forces. He had much to say on both of these categories. On the latter, he referred us to Google map images, suggesting we see for ourselves what he was reporting. He provided us with one of his main sources, http://russianforces.org. If you are interested in the Russian situation, especially their military, weapons, and nuclear forces, Russian Forces is a great source so you might want to bookmark it. Near the end of our program we talked about the need for a U.S. Space Force. Jeff supported of a type of separate space force, citing the way the Air Force had managed space and related issues. He addressed Air Force space problems, including the lack of a career track for space officers. He compared this to special tracks possible within the Navy. The bottom line was he said the AF had badly handled space and something separate should be created but it would need to be controlled so it did not get out of hand. Before we ended this discussion, he mentioned the need to form an independent, non-partisan safety organization that covered what the FAA and FCC were supposed to do with licensing and regulatory work as he thought they were not pursuing safety as they should be pursuing it. One additional topic focused on the possibility of a major tech collapse in the future as he thought systems were way too complex. Don't miss how he explained this. One more note for this discussion. Jeff told many stories and cited multiple examples to support what he was saying. Again, he was classic Dr. Jeff Bell. 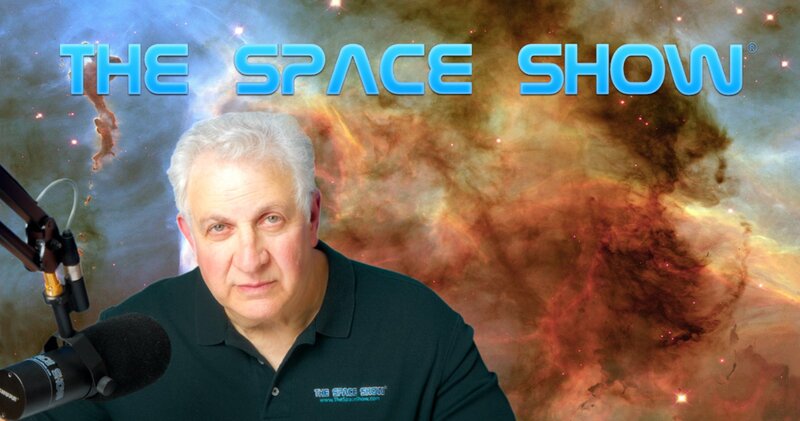 Please post your comments/questions/suggestions for Dr. Bell on TSS blog for this show. I am sure that Jeff will have stepped on many toes with his comments so some of you, especially those of you that are not fans of Musk, Mars, Moon, or space settlement, will rejoice in believing Bell is one of you. Others will think Bell once again rained on their advocacy parade.. If you want to reach Dr. Bell, you can do so through me or the blog as I will make sure he sees blog comments. Russian Space Program, commercial space and more as only Dr. Bell can deliver!